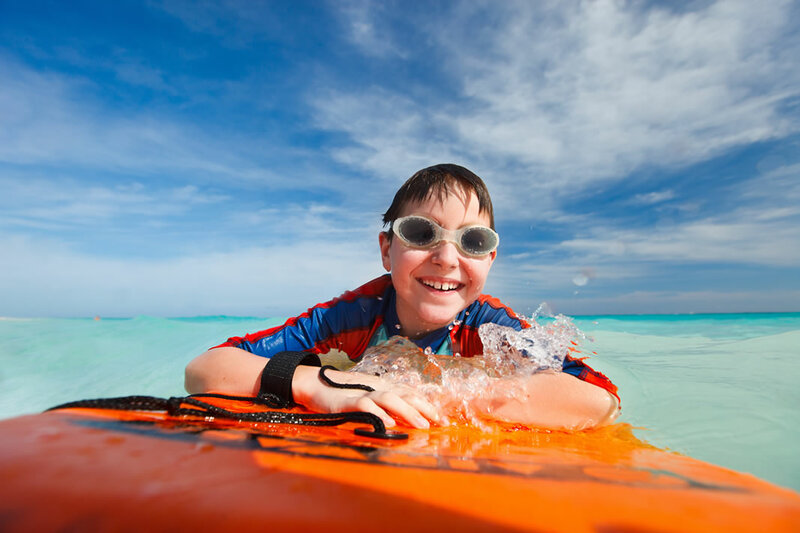 Sanibel Island water sports start with getting the right equipment. For those who enjoy yachting and sailing, the Sanibel Marina and Port Sanibel Marina will both provide facilities for pleasure craft. 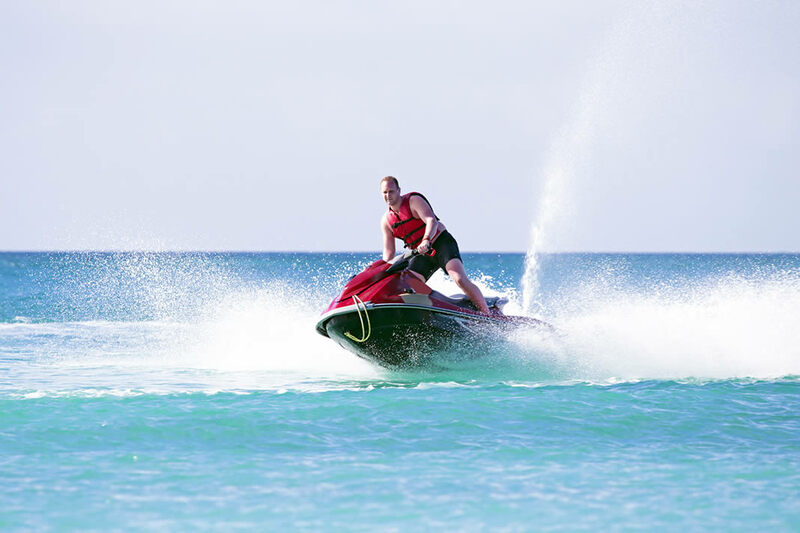 For those who like a more personal relationship between themselves and the water, there are businesses on the islands that will rent equipment such as jet skis, waverunners and other small motor craft. 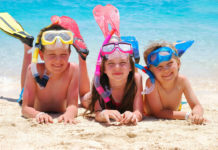 Exploring the islands and Sanibel water sports from the ocean is one of the most popular and gratifying activities in the area. The island’s pristine waterways ensure that the experience is always the most exciting and beautiful possible. 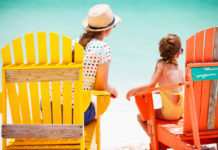 Sanibel and Captiva provides great waverunner and jet ski fun for your next vacation. Sanibel Marina is more welcoming than the average slip facility. While many such marinas are very exclusive affairs, the Sanibel Marina welcomes all, whether they arrive on a 50 foot yacht or a wave runner. Port Sanibel Marina is off-island but is a great starting point to make their way to the islands or to engage in water sports. The marinas monitor radio traffic on specific frequencies during certain hours so be sure to check ahead before making one’s way to any of the island’s docking facilities. 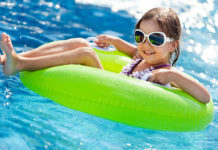 Water Sports Fun for the entire family on Sanibel and Captiva! 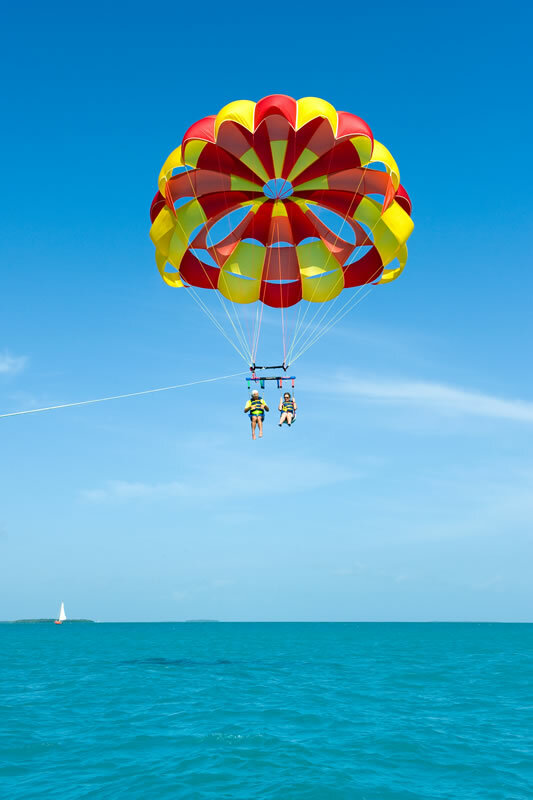 Parasailing gives you spectacular Gulf and island views. Captiva Island is famous for the environmental-consciousness of its residents. To that end, Yolo Watersports offers visitors modes of transportation that are both fun and friendly to the island environs. One can rent wave runners, paddle boards, sailboats, surfboards, skimboards, bodyboards to the excitement of parasailing adventures. The company devotes a lot of its time to keeping the island clean, volunteering for the various trash pick-ups and beautification projects that bring many of the islanders together. The company also rents land transportation including scooters and scooter coupes. The former require motorcycle experience on the part of the customer. Anyone visiting the various Sanibel and Captiva marina facilities or renting water sports equipment on the island should be aware of local concerns and regulations. Harassing dolphins or manatees is specifically prohibited by the law and carries heavy penalties. There are areas of water where speed is limited by law. This is to protect the manatee population. These ocean herbivores graze in shallow waters, close to the surface. The local businesses and marinas will have information on how to enjoy Sanibel and Captiva water sports and the environment while helping to keep the wildlife safe and healthy. 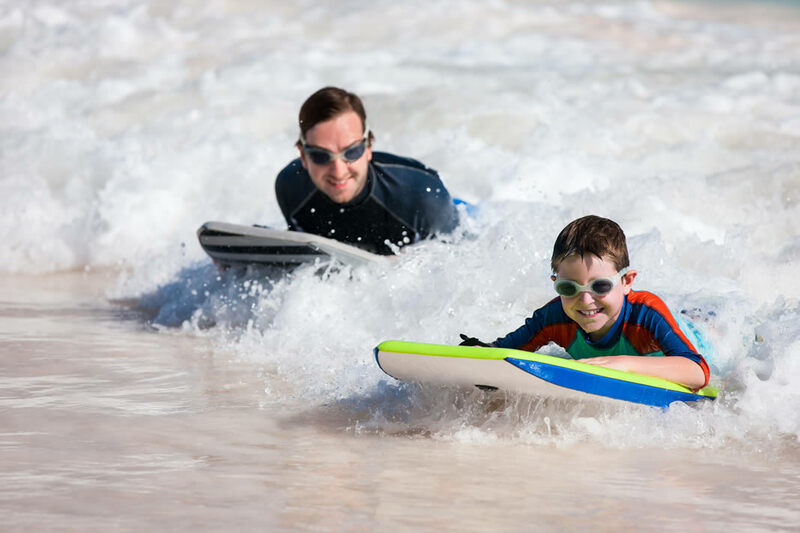 Bodyboarding the waves on Sanibel and Captiva are full of smiles and fun.